Good morning from the most beautiful city and welcome to our FX Report. 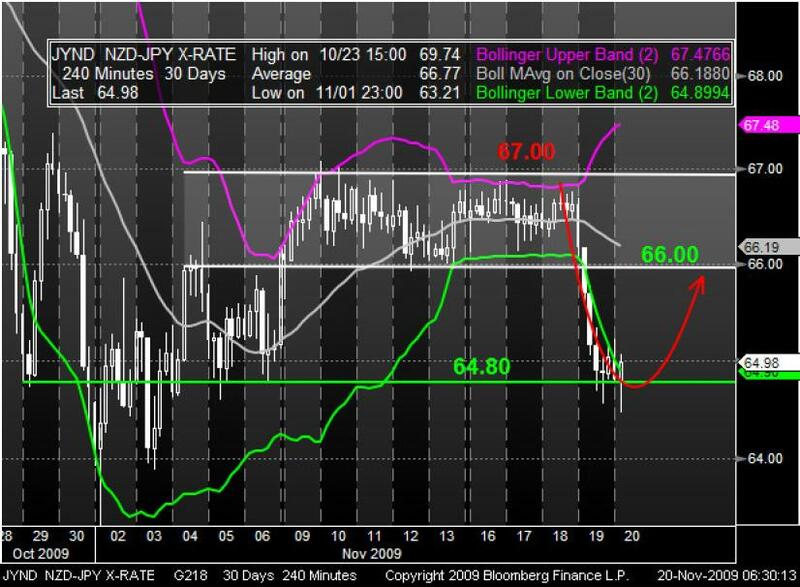 Today, we will give you a short review on weekly movements in the JPY, USD and AUD. We hope you had a great week and wish you a nice weekend. The JPY has continued its gains and reached a level close to a six-week high against the USD after Asian stocks extended the biggest drop in global equities this month, which increased demand for the JPY as a safe haven. The Nikkei 225 stock average fell 1.1 percent, touching a fourth-consecutive weekly loss, which is the longest losing streak since October 2008. The JPY gained for the fourth week against the USD. The USD/JPY fell to a low of 88.64 this week, which was the deepest price since the week from the 5th until the 9th of October. This week the EUR/JPY fell also after it opened at 133.61 on Monday while trading currently around 129.13. Investors and economists don’t expect an interest rate change by the Federal Reserve. This should support the USD and the U.S. economy from the recession. The low Interest rates in the U.S. and Japan make their currencies popular for funding such transactions. The AUD made a weekly loss against the USD while the RBA this month became the first central bank that increased interest rates twice this year. The AUD/JPY fell also this week after it opened at 83.65 and trades currently around 81.80. 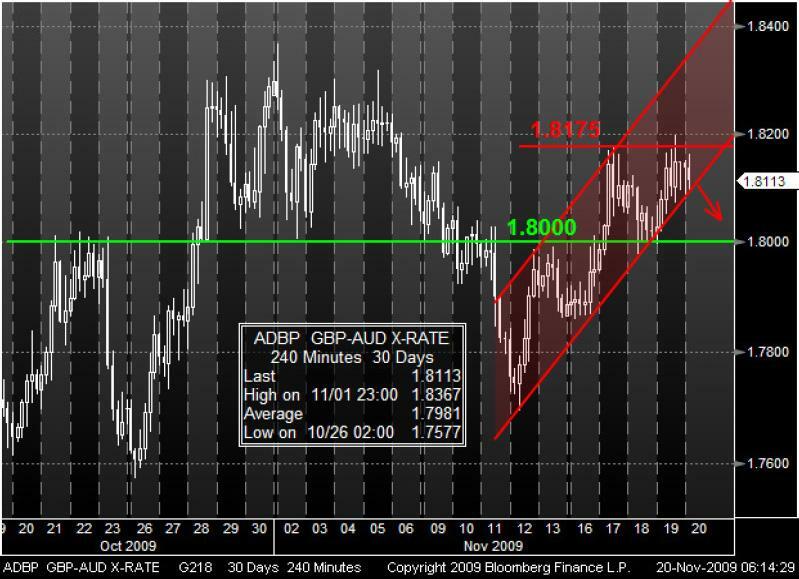 After reaching a low of around 1.77 on November 12th, the GBPAUD started to gain inside a bullish trend channel. Since that time, the market has been moving in a zigzag formation while it gained and touched the resistance level twice at around 1.8175. If the market breaks the lower line of the channel, it may fall further to get support at the 1.8000 level. After trading in a sideway trend channel and touching the resistance of around 67.00 several times, the market crossed the 66.00 support and reached the 64.80 support, which were established at the beginning of the month. In addition to that, the Bollinger bands are signalizing an extremely oversold market, which would be a clear sign for a recovery phase towards the 66.00 and the 67.00 resistance levels.